The Sweet Home Mine near Alma in central Colorado was discovered in 1873 as a silver prospect. It produced small amounts of silver from time to time for nearly 100 years. 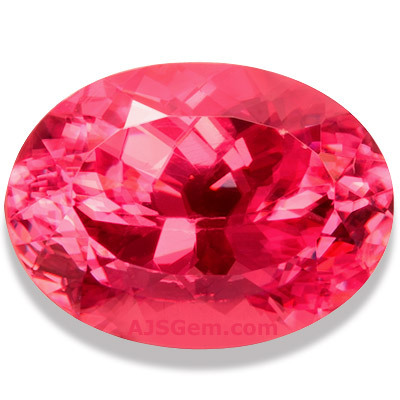 But today the mine is famous not for silver, but for fine rhodochrosite, a collector's gem found in just a few places in the world. Rhodochrosite is a manganese carbonate by chemical composition, and it is the manganese that is responsible for the rose-like color. 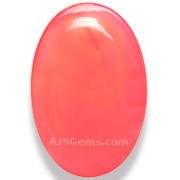 Rhodochrosite is most commonly light red or pink and is usually cut as cabochons or carved. 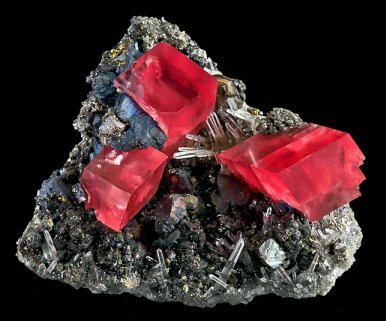 Transparent red crystals are very rare, and the large red crystals found in the Sweet Home Mine are famous among mineral and gem collectors. Lower grade rhodochrosite from mines in Argentina displays alternate bands of color like agate. 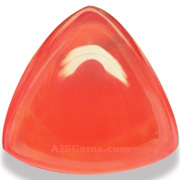 Gemologically, rhodochrosite is a soft stone with a hardness of just 3.5 to 4 on the Mohs scale. It has a density of 3.45 to 3.70, about the same as topaz, and a refractive index of 1.597 to 1.816. The refractive index has a wide range due to variations in chemical composition. 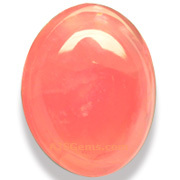 Rhodochrosite was described in 1813 based on a sample from a silver mine in Romania. It tends to form in hydrothermal veins associated with silver, lead and copper sulfides. It can easily be confused with rhodonite, a manganese silicate, but rhodonite is a harder material, with a rating of 5.5 to 6.5. While rhodochrosite has been found in many places where silver is mined in North and South America, the red crystals from the Sweet Home Mine are so unusual that rhodochrosite was named the state mineral of Colorado in 2002.